This huge sandy beach on Lake Superior offers a variety of recreational activities or a refreshing walk in the breeze. Terrace Bay Beach is a focal point for the community and hosts many great events. If you want to get out on Lake Superior, the beach has a boat launch for your convenience and you can book a local charter. 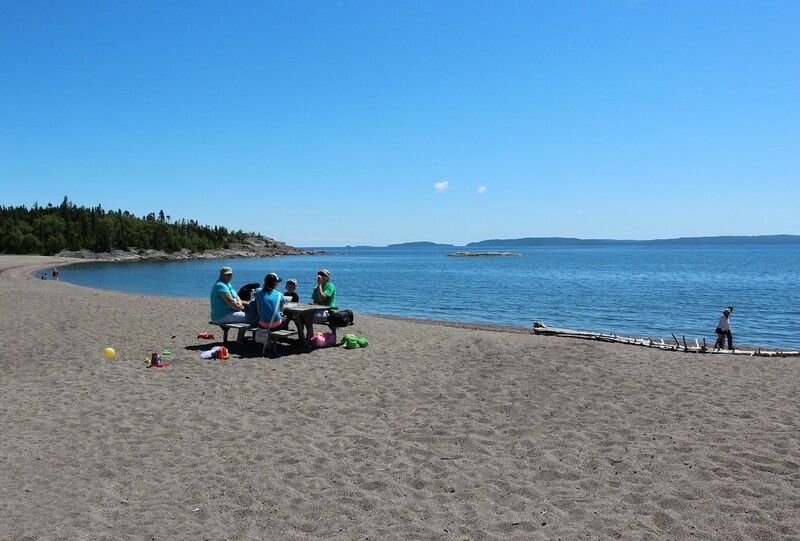 Terrace Bay Beach offers a large parking lot for boats and RVs as well as a washroom and picnic tables with a great view of where the Aguasabon River pours into Lake Superior.